This ‘what if’ started out with me asking Elizabeth Christensen if she’d like to try writing a joint story in the Atlantis world. This was my first experience working with a writing partner. It was something that I’d always wanted to try, being lazy and all, and I have to say that it was an absolute ball working with Beth. I should explain that I’m in Australia, and Beth is in the US. Exactly where in the US varies from week to week. Beth is a civilian aeronautical engineer who works for the US Air Force. She bears absolutely no resemblance to Rodney McKay, except for her amazing intelligence and killer wit. 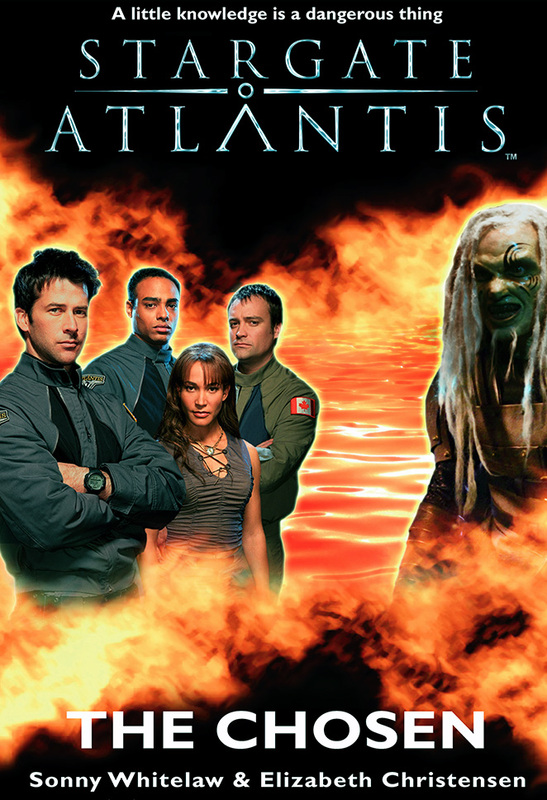 Between us, an editor who spends her days fighting off the Attack of the Killer Brambles somewhere in the wilds of Vancouver Island, Canada, and our wonderful UK publisher, we figure we’ve pretty much lived up to the ‘international’ flavour of Stargate Atlantis. It’s the most commonly asked question of a writer. I’ve explained Beth’s background above. My background includes more than a little hydrology, coastal engineering, and anthropology, so most of the strategic info in The Chosen has been pulled from my head. I also spent time checking out the city of Bath, the locks, weirs and medieval fortifications in the UK and the Loire Valley, France, and the truly mind blowing Mont St Michel. Wow, they sure do not build them liked they used to. The Citadel in The Chosen is broadly modelled on a cross between a vastly scaled-up version of Mont St Michel and Montréal. 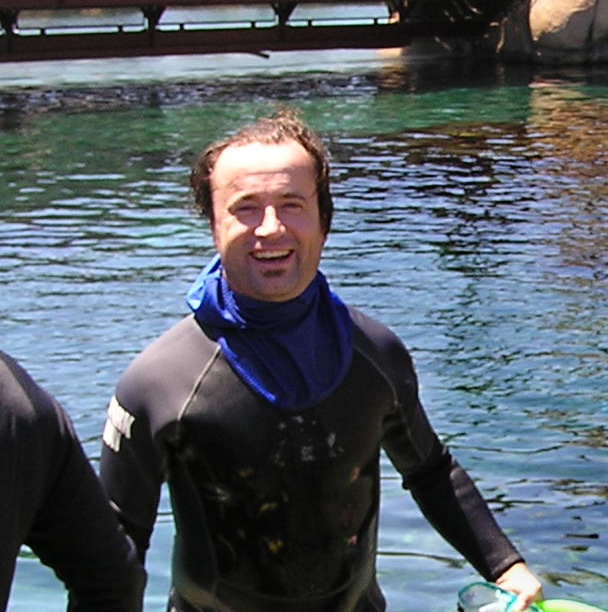 I’ve never been to Montréal but that reference was thanks to a conversation I had with David Nykl (aka Dr Radek Zelenka) when I took him swimming with sharks last November. 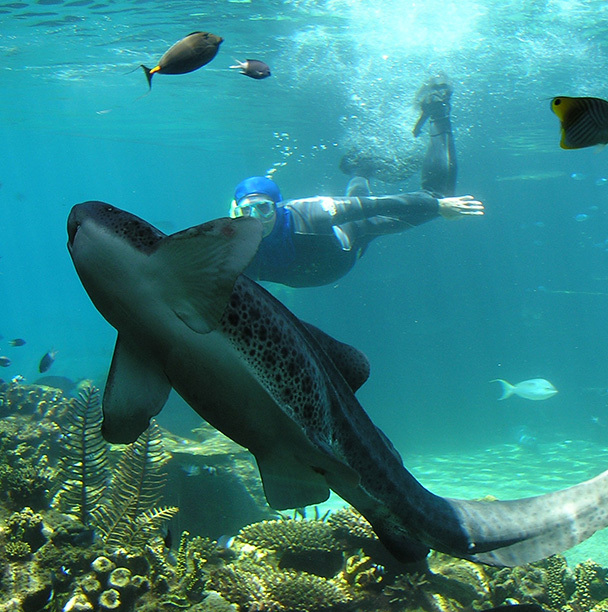 Shark diving is the sort of thing we do Downunder, and David is nothing if not game. Ask him about it next time you see him at a convention. For the curious who need to know stuff like this, the geology and geomorphology in The Chosen is based on the Midway-Sunset oil fields in the San Joaquin Valley, US. Tar pits form where natural deposits of oil leak to the surface through faults and permeable beds of sandstone. Biodegradation, evaporation and oxidation then converts the liquid into a sticky asphalt. Anyone who’s driven down Wiltshire Boulevard in LA will be familiar with the La Brea tar pits. Everything else comes from that deep, dark hole where all writers acquire their ideas – our imagination. And once again, apologies to my kids for having had to live off Vegemite sandwiches while mum designed battle tactics and defence strategies in the big kids’ sand pit that inhabits her mind.